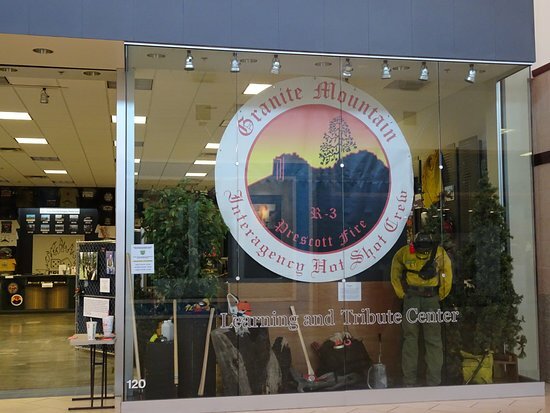 Since its grand opening on June 29, 2018, the Granite Mountain Interagency Hotshot Crew (GMIHC) Learning and Tribute Center welcomed 14,919 visitors during the 84 days it was opened in 2018. Visitors came from 46 different states, and nine foreign countries. Many of those visiting said they found out about the center through the website, Facebook page, or other social media platforms. The GMIHC Learning and Tribute Center is located inside the Prescott Gateway Mall, near Dillard’s, and is open Friday 10 a.m. – 4 p.m., Saturday 10 a.m. – 4 p.m., and Sunday 11a.m. – 4 p.m.